CRA has the most cottages right at the Race site! 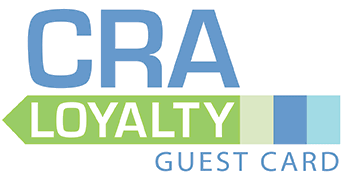 Stay with Cottage Rental Agency in Seaside, receive 1 night FREE when you book 2 nights or more during Race Weekend in 2019! Enjoy the convenience of getting an extra day, whether you use it to check-in early or stay a day later. Race registration has already begun. 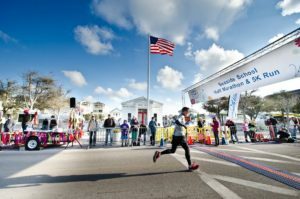 Whether you are a serious distance runner or a casual weekend warrior, come join the fun and run in America’s Classic Beach Town for the 16th Annual Seaside School Half Marathon & 5K Run. The 2019 dates are March 1-3. Proceeds benefit the Seaside Neighborhood School. Don’t forget the Emeril Lagasse foodie event that kicks off Race Weekend–Taste of the Race–held Friday prior to the Race. Cottage Rental Agency’s Seaside Half Marathon package is available for stays February 28 – March 4, 2019 for participating cottages; three (3)-night minimum consecutive stay required; limited availability and not applicable to existing reservations or groups; bike rentals are provided by the CRA Bike Shop; additional restrictions may apply. Dates subject to change. Offers cannot be combined. For availability and reservations, please call toll-free at 1-866-976-0210.